Long Beach Island (LBI) is located 42 miles (68 km) north of Atlantic City, 61 miles (98 km) east-southeast of Philadelphia and 101 miles (163 km) south of New York City. 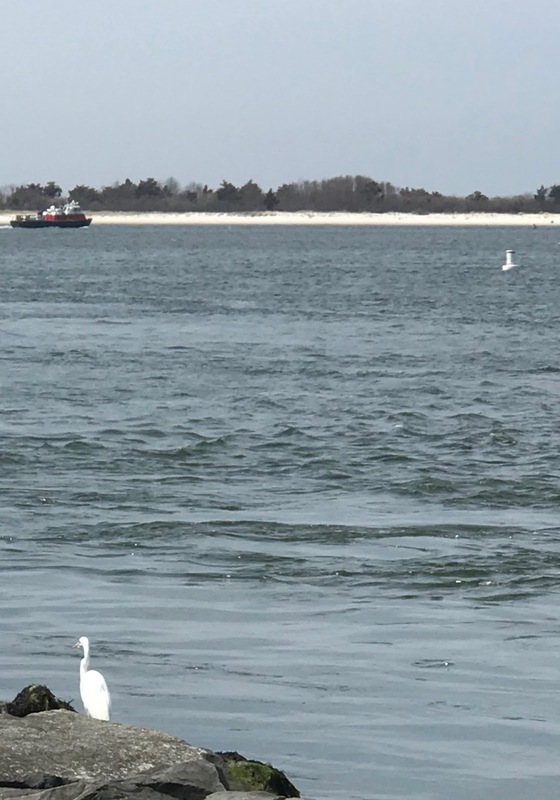 LBI is approximately 18 miles (29 km) in length, which includes three miles (5 km) of nature reserve located on the southern tip.The island is about a half-mile wide (800 m) at its widest point in Ship Bottom, and spans a fifth of a mile (300 m) at its narrowest point in Harvey Cedars. My family started vacationing on Long Beach Island, NJ in the 1980’s. I have many nice memories of LBI summers. 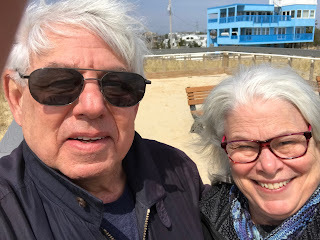 So much so that when Ross and I retired fifteen years ago, we moved to a town which is about 20 minutes from LBI. 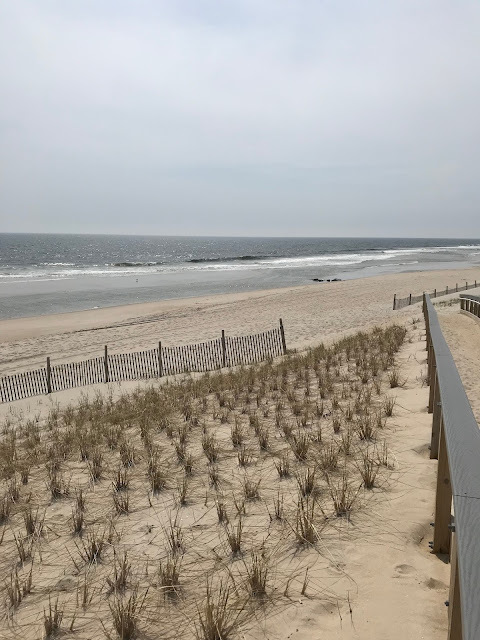 The beaches on the island are among the most beautiful along the Jersey shore. Our favorite beach on LBI is called Loveladies. This is what Loveladies, LBI look like today. Even off season, when the beach is empty, there is always something to look at. A fisherman, a dog walker, joggers, surfers and of course the beach birds. It was windy and chilly on the beach today. There is a lighthouse in the town of Barnegat Light. The locals call it Old Barney. The island has been continuously settled since 1690, initially being a destination for hunters. Barnegat Inlet, to the north of the island, was an important path for freight shipments and whaling from the 17th century through the 20th century. Due to the Inlet's importance and its turbulent waters, a lighthouse tower was constructed in 1835 to guide shippers through the area, but was inadequate to ships, constantly being mistaken for another passing ship because the light was fixed. 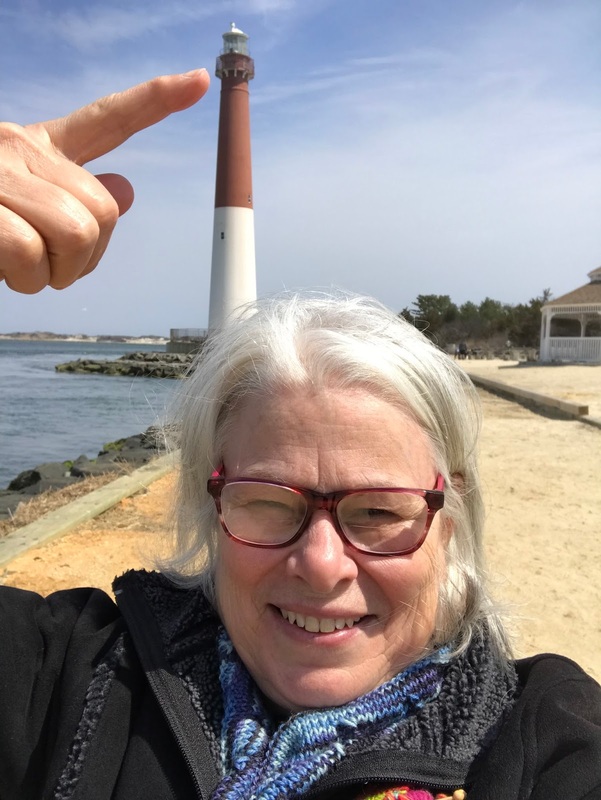 Erosion problems destroyed the tower in 1857, two years before the current Barnegat Lighthouse was completed in 1859, flashing at each point of the compass every 10 seconds. It’s been a long cold winter here in NJ. In the next couple of days spring is supposed to finally make an arrival. Temperatures should raise into the 70”s F.
Thank you for coming to visit. I like to crochet also. I knit more though. How interesting that your mother was full in. I hope to continue writing more frequently, as I used to, even after the challenge is over. 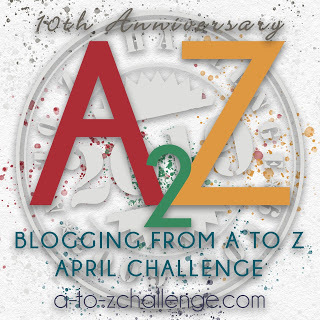 Hi, Lynda - It is so nice to meet you through the A - Z Challenge. From viewing your About Page I can already see that we have much in common. I will definitely be back! I had heard there's a Long Beach on the east coast. From a resident of Long Beach, CA. Oh, I love beaches! Sandy beaches, rocky beaches, sunny beaches, foggy beaches, tide pools, the smells... Lucky you living so close to your favorite one! Me too! I love the beach.